Join us for our festive, recreational road tour heading southeast from Winona Lake through Kosciusko, Whitley, and Wabash Counties. Enjoy a multitude of routes from a family-friendly 12 miles, up to mid-range routes of 20, 40, 62 (metric century), and 100 (century) miles of rolling country roads. Of course, great food, snacks, and drinks will be served at our SAG stops. Again this year, our friends from Cerulean Restaurant (an Indiana restaurant-of-the-year award winner) and The Garden will be providing lunch and entertainment once you return. And YES, the beers will be tapped so you can enjoy a nice, cold pint upon returning to The Village at Winona to celebrate your accomplishments. Online and pre-registrations will receive some great swag, freebies, and discounts from festival sponsors, Trailhouse, Green Earth Multisport, and the Village at Winona shops and restaurants. Kids under 16 can ride for free with an adult (however, they will not be provided an event t-shirt, but you can purchase additional shirts). 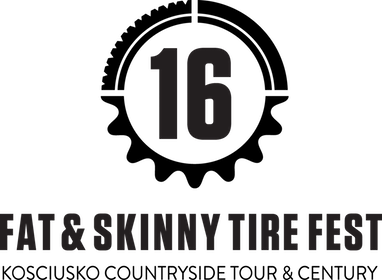 Come early or stay longer, and enjoy the rest of the 16th Annual Fat & Skinny Tire Fest events. 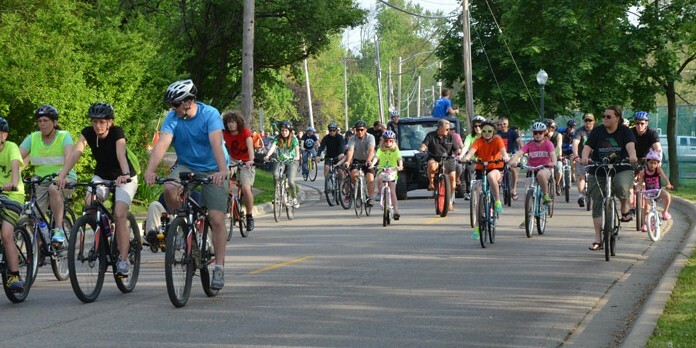 Friday night is the ever-popular Festival Kick-off Party, with a Critical Mass ride through town, followed by a BMX stunt show, and our road racing time trial. Stick around and make a weekend out of it. After you finish the tour, be sure to check out the free Historical Village at Winona Tour. 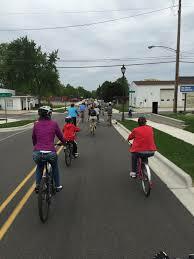 This 3-4 mile casual ride will provide a glimpse into the storied history of Winona Lake, and its prized recent resurgence. Check out the other events we have happening all weekend: DINO Series Mountain Bike Races, our Road Race and Road Criterium, BMX stunt shows, free kids bicycle skills activities, a family scavenger hunt, demo bikes, vendor expo, live music, micro brews and more. * Please note that anyone riding the century route, must leave by 9am to ensure SAG support. *Check the festival website for the complete list of events and updated activities schedule. Route maps will be made available on the website as the event date nears. Print maps will be available at check-in. Please note that exact route mileage may change as road conditions are verified and routes are finalized.